I have represented taxpayers owing more than $600,000 in taxes, as well as taxpayers on the Franchise Tax Board’s most wanted list. My audits have included international businesses and high-net worth individuals. Currently, I am representing many international businesses and high-net worth individuals, including foreign CEOs and businessmen, with various international tax issues such as the Offshore Voluntary Disclosure Program and FATCA. I have been asked to give presentations on these topics to the Tijuana Law School, Singapore Management University Law School, Hong Kong American Club, CalCPA, Tijuana Bar Association, and many other businesses and organizations. After graduating from Syracuse University with a double major in finance and accounting, I gained my master’s of taxation at Arizona State University, then gained my CPA license while working at a local public accounting firm. During law school, I worked at several local businesses including Fortune 500 companies. After attending law school and obtaining my LLM, I returned to public accounting at a Big 4 firm. For the past three years I have ran my own tax law firm with my partner Aubrey Hone. Our accounting and Big 4 background allows us to provide more detailed and complete representations for tax clients. I am the vice chairman of the International Law Section of the San Diego County Bar, and for the two previous years was the co-chairman of the Taxation Section. I am part of CalCPA leadership and serve as the chairman of ABC Night. 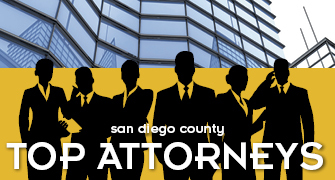 I am also a member of the Chinese Attorneys Association of San Diego, the ABA, and several other local professional organizations. I have also taught in the Tax LLM program at the University of San Diego School of Law as well as the UCSD Extension Program. My wife is Mexican, and as part of a bicultural household, it is very important to me to make sure Mexican and foreign clients receive quality service. Due to lack of professional options, this community is often underserved and victims of excessive fees. Additionally, I have made many foreign presentations to try to educate this community on U.S. tax responsibilities and options for compliance. I was born and raised in Central New York, but have spent my entire professional career in San Diego. Currently, I live in Santee with my wife Lucy, who is an IT Auditor at Risk Opportunities Inc., my son Colton (7) and daughter Sophia (5).